Today we’re delighted to welcome Polly Faber and Clara Vulliamy, the successful author / illustrator team behind Mango & Bambang, to Story Snug. We’ve really enjoyed reading the Mango & Bambang stories which have now been published in several languages including French, Italian and Japanese as well as an American version. 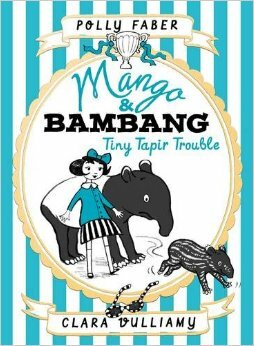 The fourth Mango & Bambang story, Superstar Tapir, will be published next month – huge congratulations to you both! 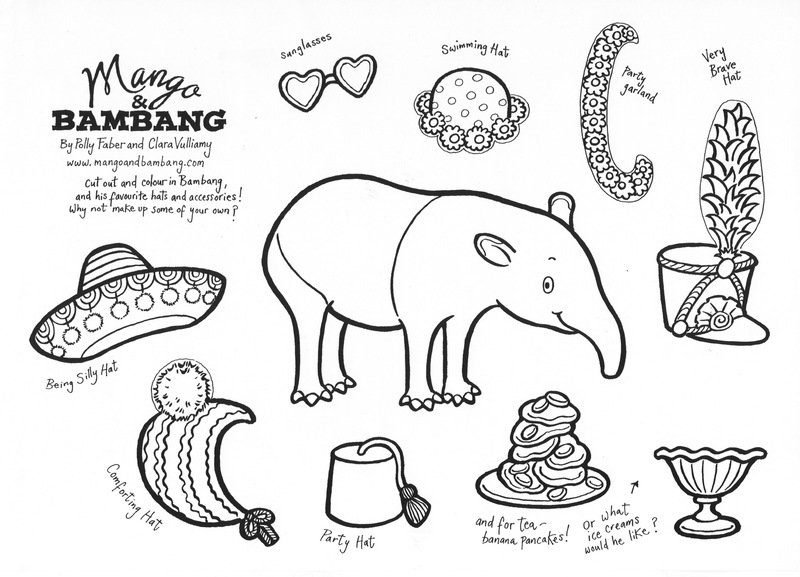 Where did you get the inspiration for the Mango & Bambang books? Polly: Clara and I were out for coffee and buns and I was moaning about how the current book I was writing wasn’t going very well. She surprised me by suggesting that I write a story for her to illustrate instead. I just assumed she was joking. We had a funny email exchange after that: I agreed that I would write her a story as long as it was about a tapir. But I still didn’t take her seriously. And then a first sketch of Mango and Bambang landed in my inbox a week or two later. I shrieked because I suddenly knew I was full of stories about them. Clara: When Polly suggested a story about a tapir and a child-companion, I felt a rush of excitement and hurried to my drawing board to sketch something. I sent it over to her. ‘Does this inspire you at all?’ A short while later the most wonderful stories arrived and I knew we were onto something special. A tapir is a very original choice for a main character. How did you choose such an unusual animal? Do you have a favourite Mango & Bambang story? Clara: For me it might be Famous Tapir from All at Sea. It has a heart-breaking goodbye, and a life-affirming message about making mistakes and putting them right again. It also has a sailor hat and a knitted snout cosy: in a word, it has everything. Polly: That is like asking a parent to choose between her children! Some of them were easier to write than others but just like difficult labours that part is quickly forgotten. I suppose the very first story will always be a favourite as I felt so excited to be telling it and feeling like it was the right thing for me to write. Polly, could you tell us about some of the other characters in the stories. Dare we ask if they are based on anybody you know?! There’s quite a cast now isn’t there? Some would be more fun to spend time with in real life than others. 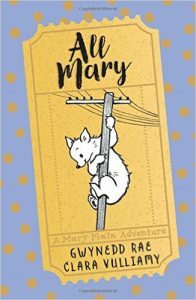 Mango and Bambang’s friends include George; a boy almost as kind and resourceful as Mango, and Rocket; a stray dog for whom life’s biscuit bowl is always half full. But then there’s out-and-out baddy Cynthia Prickle-Posset who wants to add a tapir to her Unusual Collection and Bambang’s small cousin Guntur with whom he has a – let’s say – complicated relationship. Are they based on anyone I know? Now that would be telling… Rocket is definitely based on several (possibly MOST?) dogs I know. Clara, we’re fascinated to know how you actually create the illustrations for a story. Could you explain the illustration process. Do you draw by hand first? I always begin with drawing by hand. I work with graphite pencils, from 2B to 9B so very soft and velvety. This is at the heart of my illustrations, when all of the characterisation, vitality and detail come to life on the page. I then scan them in and work digitally to add colours and tones. The computer makes anything possible. In Superstar Tapir, for instance, there is a huge cinema scene to which I added a slight flickering texture that puts me in mind of the early days of the silver screen… I’m not sure I could have done that by hand. But in the end the bit that really counts is just me at my desk, with a pencil, a piece of paper, and Polly’s manuscript. 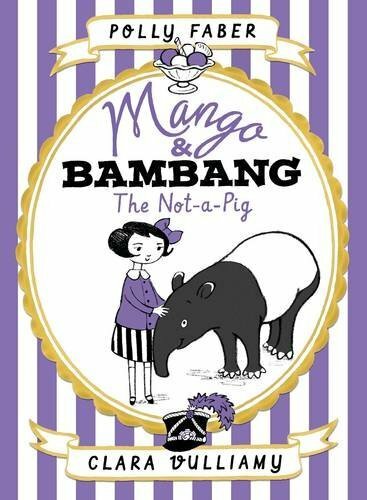 Do you have a favourite Mango and Bambang illustration? Polly: Impossible to pick. I can’t tell you what a huge thrill it is when I am first sent Clara’s roughs to peek at. It’s the best day of the year seeing how my words have been brought to life. I tend to hide for a week or two after a manuscript has first been sent to her as I know I may have set a few challenges (the cursing reaches across London). But the thing is, whatever I write, Clara draws it better than I could possibly have imagined. So really it’s very good for her that I set teeny drawing challenges like entire building sites and fairgrounds. And it makes her appreciate the drawing treats; like a tray of elaborate jellies, even more. Having said all that; Clara’s visions of Bambang’s hats are always particularly fabulous. Clara: I hope everybody knows I am only joking when I LOUDLY complain about Polly’s drawing challenges! It’s very good for me, a muscular illustrating workout. If I am allowed to choose a favourite, it would be two very small pictures in A Parcel for Bambang (in Tiny Tapir Trouble) in which both Guntur and Bambang get stuck in a Barbara Hepworth sculpture. At first I thought I didn’t know what that would look like, but it turned out I did. 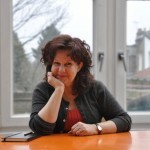 Is there collaboration between you as Polly is writing the books? Or does Clara receive a finished draft before starting on the illustrations? Clara: Our pattern is for Polly to write all four stories for one book, with our editor Denise at Walker Books. I am not privy as to what’s cooking at this stage. Then it is passed along to Louise our designer and finally (to many whoops oohs and aahs) to me. The rough sketches are sent back over to Polly for her approval, and then the finished artwork too before it’s sent off to the printers. We don’t breathe down each other’s necks – we don’t need to: it’s a trust thing. It’s hard to say exactly how long this whole process takes, around four months maybe. We’ve seen pictures of you meeting your readers at Mango & Bambang events. Do you have any more events planned? 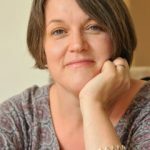 Polly: I’m visiting plenty of schools over the next month or two but Clara and I also have public events coming up at Ottie and the Bea bookshop and the Oxford, Brighton and Cardiff literary festivals. We’d love to see friendly Story Snug reader faces at them! We always like to know how our guests became authors / illustrators. How did your first books come to be published? Clara: I started such a very long time ago! You could say it runs in the family, there was never anything else I wanted to do, nothing else I could do. I took an idea along, funnily enough to Walker Books, and was lucky first time. I know it can be a longer journey for many, with a lot of disappointment along the way. The only advice I can give, apart from to take heart and hang on, is not to keep polishing and tweaking the same stories over and over. Keep dreaming up new things. A half idea, a small scrap of something, could be the one that chimes and gets snapped up. Do you have a favourite location or environment to work in? Polly: I have a little room in my house that I write in. It has a good view of peaceful greenery out of the window and my collection of tapirs arranged on my desk to encourage me. I prefer to write in silence and solitude; with the honorable exception of the cat’s company. I don’t think I could ever be a writer who scribbles in the corner of a busy cafe. Clara: I too am addicted to peace and quiet. If someone so much as blows their nose in another room, my concentration is shattered. I have a very cluttered studio space for illustrating, but I do like to write at the kitchen table. To be nearer the kettle and biscuit tin, obviously. Polly: Pretty excited about some new projects due for publication in 2018 but I’m afraid I can’t reveal too much more yet. I can tell you the tapir count in them may be a bit lower than the Mango and Bambang books. Clara: All I can reveal at this point is that the Polly-Clara combo has much more up their sleeve! We’re always interested to know what authors enjoy reading. Do you have a favourite book from your childhood? A current favourite children’s story? 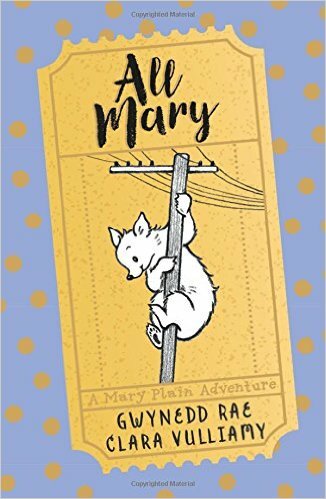 Polly: Do you know, my absolute favourite books from childhood were the Mary Plain books by Gwynned Rae? About the funny adventures of a bear cub in Berne; they’d long fallen out of print. So I actually danced an actual jig when I learned my absolute favourite illustrator was to re-imagine them for a whole new generation to enjoy. The new editions Clara has made are BEAUTIFUL. I’m thrilled to have them back. Babar, Tintin and My Naughty Little Sister are the books from way back that I keep coming back to. What did Tiny Tapir do when he went to America? Clara, how do you draw a tapir? Clara: You’ll find here a nice simple Bambang to look at, trace or copy. Tapirs are not easy – it took me a LOT of practice! Don’t forget they have white-tipped ears, and four toes on their front feet but three at the back. My TOP TIP: colour in the black parts of a tapir dark grey instead of black (if you look closely you’ll see that’s what I did) so you can still see the line. Oh and don’t forget the hats and snacks to complete your picture! Polly and Clara, thank you so much for joining us on Story Snug. It’s fascinating to hear about how the Mango & Bambang stories are created, how you work together and we’re very excited to hear that you’re working on something new. 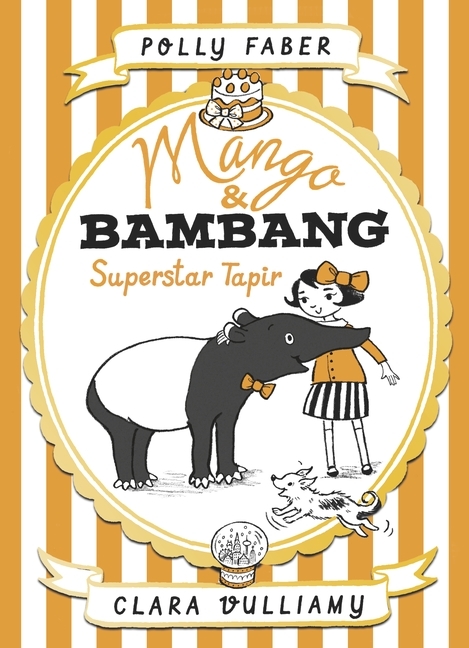 We’re looking forward to reading Mango & Bambang: Superstar Tapir. 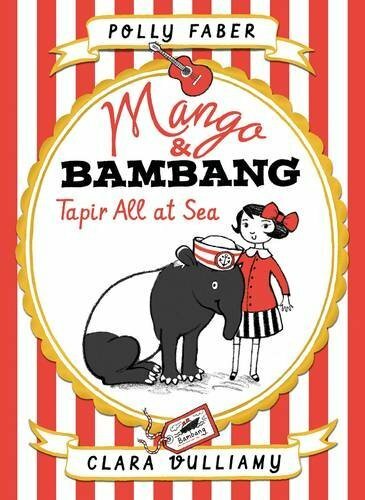 Paperback versions of Mango & Bambang: Tapir All at Sea will also be published soon too. You can find more information about Mango & Bambang on their website. 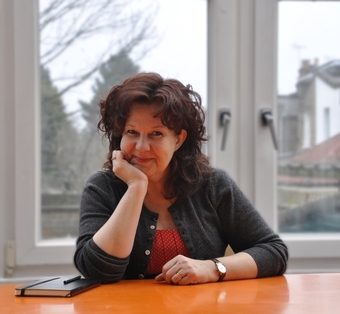 Polly Faber is the author of the Mango & Bambang books; The Not-a-Pig, Tapir All at Sea, Tiny Tapir Trouble and Superstar Tapir which are published by Walker Books. She lives in North London with her family and volunteers for reading charity Beanstalk. I’m not sure how many zoos have tapirs in them. I’ve never seen a real life tapir either. I love the sound of these books! The illustrations are beautiful and it’s lovely to read about how the characters came about. Sadly my daughter is too old for them, but I will look out for them for my niece. So cool! My husband’s a zoologist, so I’ve seen tapirs, but I certainly never thought I’d see one in a kid’s book. What fun! Thanks for digging up so many treasures Catherine! I guess that even the most unusual creatures have a story to tell 🙂 It’s interesting to hear that sometimes teachers haven’t heard of tapirs! I haven’t heard of this series but I’m going to look them out for my grandchildren. Love hearing the story of how the characters came about. Great interview.